Dr. Marshall has extensive clinical experience with osteoarthritis ranging from the earliest stages of cartilage injury and initial onset, to end-stage disease requiring joint replacement. Dr. Marshall has published over 100 basic research and clinical scientific papers and abstracts and has been a consultant to a number of pharmaceutical and biotech companies. Dr. Marshalls’ "bedside-to-bench-to-bedside" expertise provides a unique perspective that bridges the gap between discovery research and the identification and development of clinically relevant, commercially viable products. Dr. Marshall received a B.Sc. from Michigan State University (1973), an M.D. 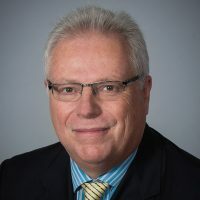 from Wayne State University (1977), a Ph.D. in joint neurophysiology from the University of Toronto (1994), and became a Fellow of the Royal College of Surgeons of Canada in 1984. Osteoarthritis research; bridging the gap between discovery research and development of commercially viable products.